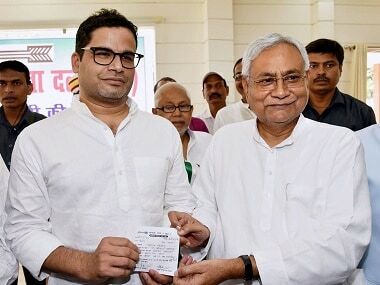 Election strategist Prashant Kishor joined JD(U) at the party at a meeting in Patna on Sunday. Kishor, who has recently said that he would not campaign for anyone in the 2019 elections, was formally welcomed by senior members of the party including chief minister Nitish Kumar at the state executive meeting being held at the chief minister's residence. Kishor's entry in JD(U) is likely to give a new direction to the party's plans for the 2019 Lok Sabha elections. Citing sources, NDTV said that Kishor may be tasked with brokering peace between the chief minister and Lalu Prasad Yadav's RJD, but the plan has not materialised yet as Tejashwi Yadav, who is handling the party in his father's absence, is against it. 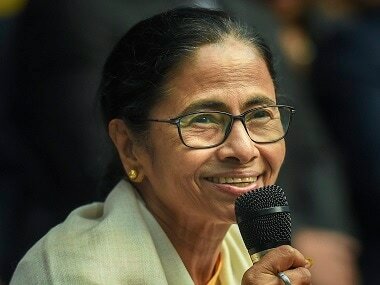 According to Times of India, the ongoing JD(U) state executive meeting featuring leaders from Bihar, will "focus on issues related to seat-sharing among NDA partners, its preparedness for the forthcoming Lok Sabha polls chalking out strategies on how to spread message about the good works of Nitish-led government among the masses". Kishor is also attending the meeting. Kishor started his career as a public health expert and worked for the United Nations. A few days ago, Kishor had said that he had worked enough with the leaders and would now like to go to grassroots and work with the people. He had also then denied media reports that he is joining politics. "In 2019, you would not see Prashant Kishor campaigning for anyone in the manner and form in which I have been campaigning in last 4-5 years," he had said while adding that IPAC will continue as an organisation which, he said, had become about 20 times bigger than what it was in 2015. The 41-year-old former UN official also said he want to go back to grassroots either in Gujarat or Bihar. 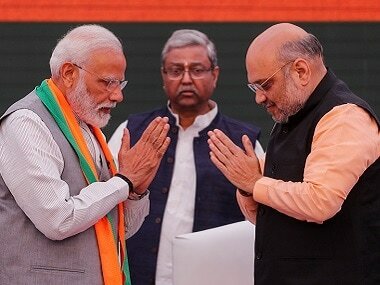 Kishor, who formulated the election strategy for Prime Minister Modi in the 2014 elections, said he never met Modi after he left Prime Minister's Office in March 2015 till last year when the prime minister called him when his mother was on the deathbed. Since then he had been meeting and talking to Modi. He, however, ruled out working with him again. Kishor has also worked with Bihar chief minister Nitish Kumar and the Congress party. He said that after the Uttar Pradesh elections, he took up the assignment with YSR Congress party's YS Jaganmohan Reddy as he had made a commitment earlier. 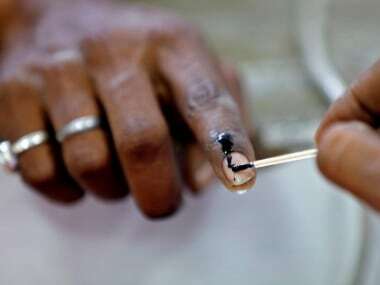 Your guide to the latest election news, analysis, commentary, live updates and schedule for Lok Sabha Elections 2019 on firstpost.com/elections. Follow us on Twitter and Instagram or like our Facebook page for updates from all 543 constituencies for the upcoming general elections. 1. If you are in certain parts of Delhi NCR or Mumbai you can subscribe for doorstep delivery. Digital subscription comes free with it. 2. If you are outside this distribution zone you can access the full bouquet of Firstpost Print content online for a limited period. 3. You may sample up to five stories, following which you will need to sign up for continued access.